Our showroom is a valuable resource that we have invested in heavily. With an extensive selection of doors on display, the showroom provides an excellent opportunity for our customers to touch and feel the actual door products before making their final purchase decision. One of the more prominent doors on display in our showroom is the beautiful dark-stained Knotty Alder barn door. Our company has extensive experience installing barn doors over the past several years. 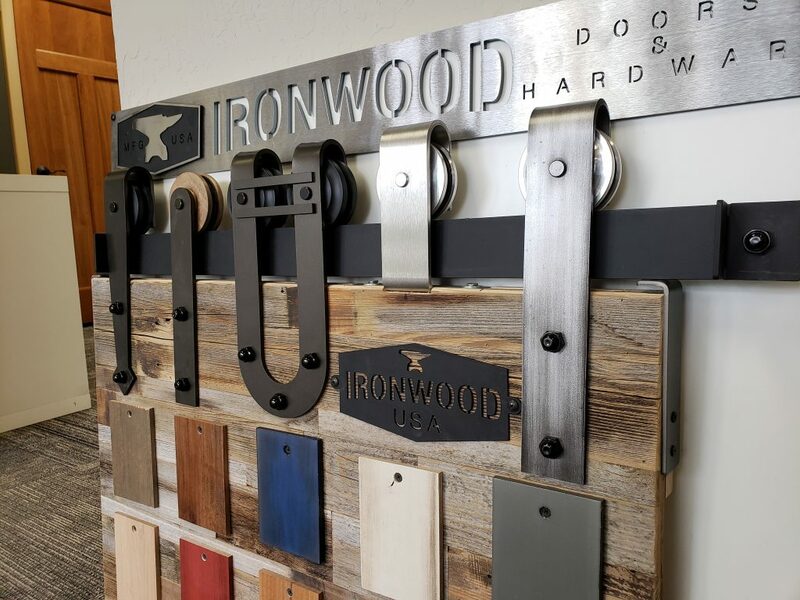 We offer premium-quality barn doors from our suppliers Iron Wood and TruStile, made using the highest-quality custom-made materials. Barn doors are an increasingly popular feature of Bay Area homes, and a professionally-installed high-quality barn door provides distinctive character that adds to the enjoyment and attractiveness of the home environment. 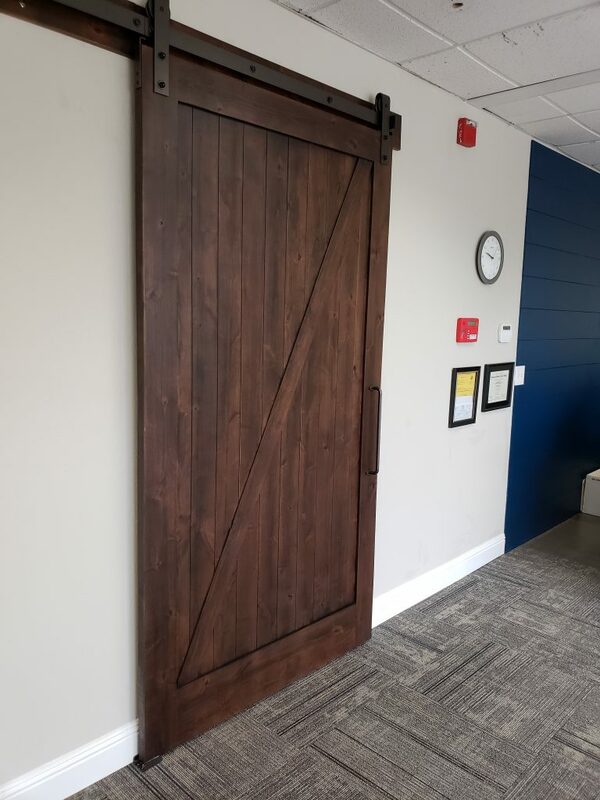 On the other hand not all doors can be used as barn doors, and a barn door that is improperly-sized or installed with lower-quality materials and workmanship can become unstable and unsafe. 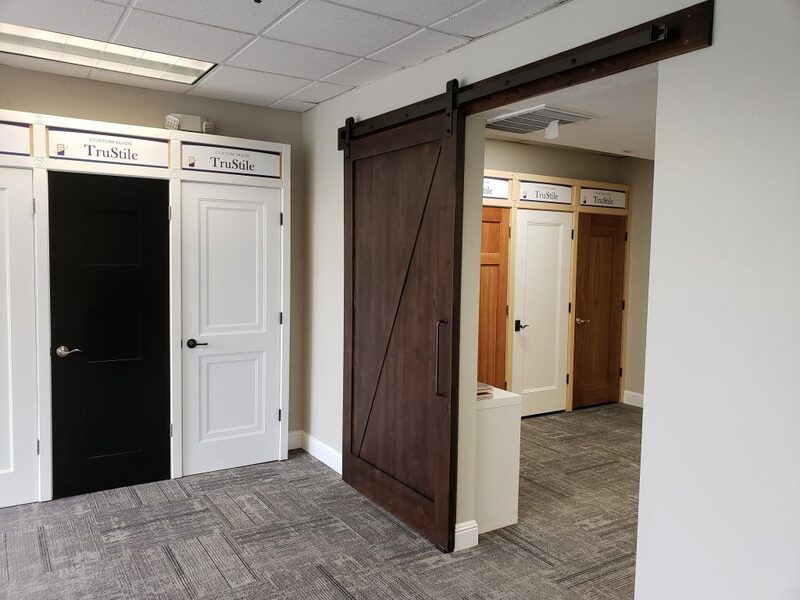 We therefore encourage our prospective barn door customers to visit our showroom to better understand our barn door products and how they can enhance their homes.